During our previous retreat with Swami Arun in February 2017, we had a large number of seekers participating. All of them still feel the joy and bliss and want to re-live the experience. Due to overwhelming demand, a limited number of spots is available. It is on the first-come-first-serve basis. Please RSVP in advance to reserve your space for the event. 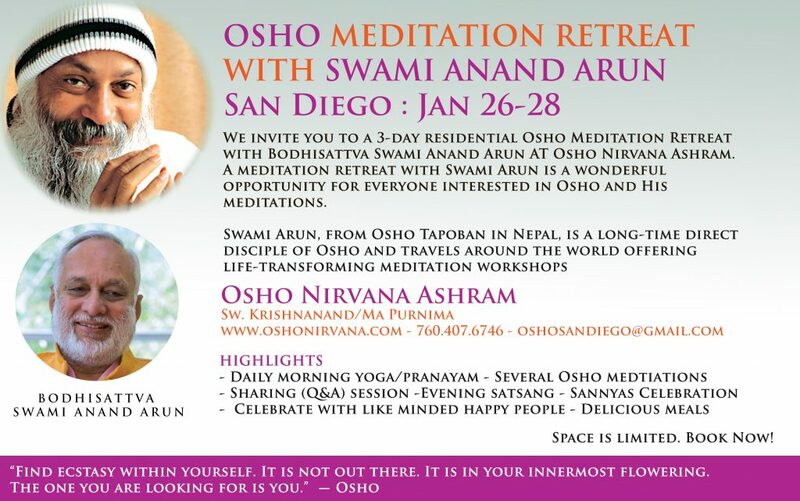 It is recommended to participate in all four days of the retreat for a deeper experience but you can also participate in one or two days as your schedule permits.